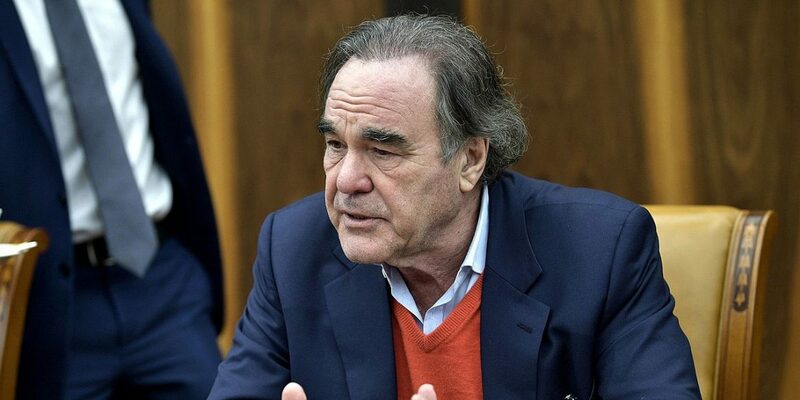 American filmmaker Oliver Stone has criticized Colombia’s ruling party, claiming the country is more dangerous than Venezuela and that he would be assassinated if he were a citizen there. The acclaimed director compared himself to the country’s social leaders, who are facing a surge of violence, saying that speaking out against the government can get people killed. He also said ex-president Alvaro Uribe and his Democratic Center party, which holds the majority in congress, is behind the uptick in violence in Colombia. “A person like myself who would speak out would be killed in Colombia – not in Venezuela,” the director told a press conference at the SmartFilms cinema festival in the capital, Bogota. Colombia has seen a spike in violence as social leaders and activists across the country are killed with impunity while the government seems unable or unwilling to help. The majority of those killed are from rural areas, which took the brunt of Colombia’s half-century civil war. There is still a lack of state presence in such parts of the country and criminal gangs continue to terrorize communities. Some NGOs have claimed the country’s ruling party has links to such gangs. Stone, who directed box office hits Wall Street, JFK and Natural Born Killers, added that the problem in Colombia regarding human rights is graver than the current situation in neighboring Venezuela. “I think Colombia is moving in the wrong direction,” he added. Stone was previously a friend of President Hugo Chavez, who ruled Venezuela with a socialist government for over 14 years before his death in 2013. The country is now facing chronic food and medicine shortages as it suffers from the world’s highest inflation. Rampant crime and corruption are also causing thousands to flee the country and settle in Colombia. Stone has long been known for his controversial political views – expressing support for leftist governments in Latin America and making films on such topics. He was criticized last year for his film The Putin Interviews, which saw him talk with the authoritarian president for four hours. Critics claimed he failed to hold the president to account.